Your garden can be a hive of activity and colour no matter what the season. But to get this lush and bountiful garden, you need to work with the seasons and everything that they have to offer. The winter garden is the resting phase of plants, shrubs and trees. 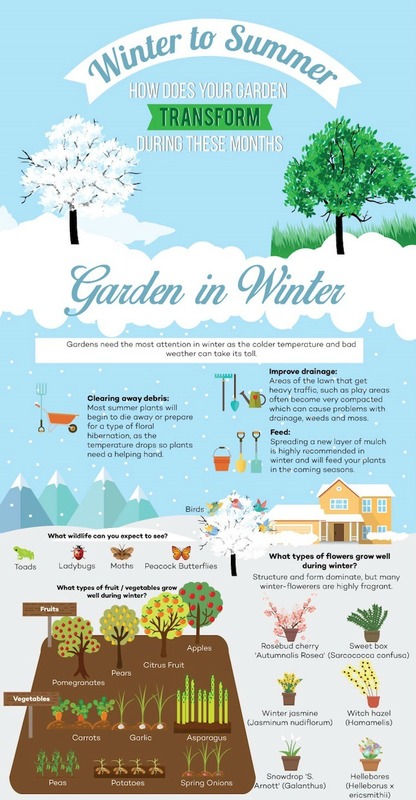 They slumber through the colder winter months but you can have everything in place so when the garden wakes in spring, it has everything it needs. As the temperature warms, the garden awakes. Add fertiliser to growing plants and water seedlings and watch as they blossom into summer. Your hard work has paid off! You are rewarded with fruit trees laden with delicious fruit, summer vegetables for your plate and nodding heads of many different varieties and colours of flowers. Autumn months can still be warm, but with cooler evenings and the danger of night frosts. Protect vulnerable plants but enjoy the last of the summer harvest from the vegetable beds. 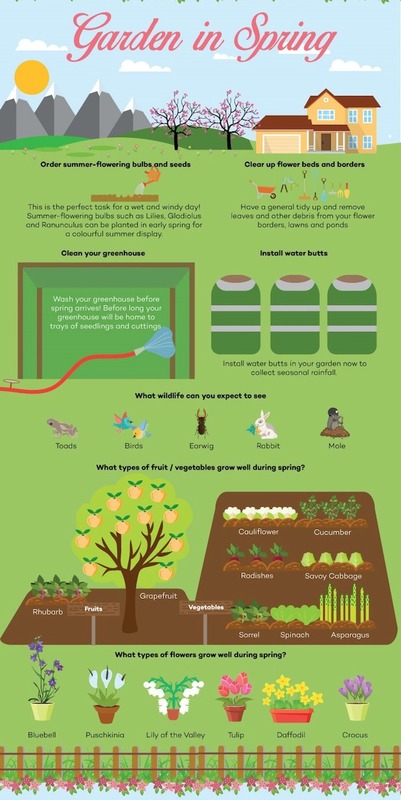 Do you know how to get the best from the seasons in your garden? This infographic has all the answers.